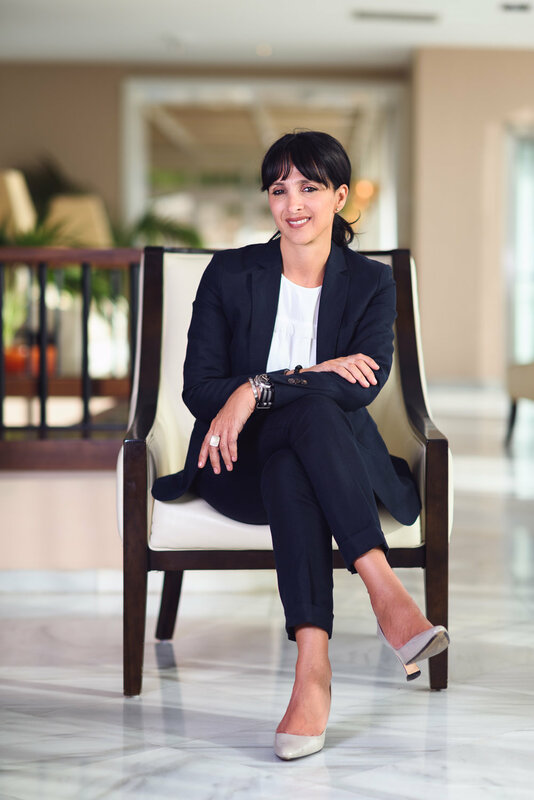 Having been raised and educated in Gibraltar, Marlene Hassan Nahon returned to her home town at the turn of the millennium after five years in the UK, three of which were spent completing her degree in History of Art and Architecture at Manchester University, and two working as an account manager for the diplomatic core at a private bank in London. She then put a pause on her professional career, starting a family and raising 4 children, while always retaining a keen interest in current affairs and local politics. In 2012 she took a postgrad in Journalism and shortly after, on announcement of a by election in 2013, she signalled her intent to stand as an independent candidate if the GSD opposition didn't present its own. She was then asked by the GSD to stand as the party's candidate. She agreed, believing the GSD's core values were very much in line with her own. Marlene came second in that contest with 40 percent of the overall vote. She stood with the GSD at the 2015 General Election, and was voted into Opposition with the second highest number of votes for the GSD. However, she quickly became disenchanted with the leadership of the party, and felt her own position within the GSD had become untenable. She resigned from the party and continues to represent her constituents as an independent MP on the Opposition benches. During her time as an independent, Marlene has been at the forefront of key issues brought to public light, such as the benefits of medical cannabis, former students being chased by the loans company for payments defaulted by government, the low morale at the GHA, issues with private sector pensions, and resources for mental health care. She has also raised questions about the management of the purchase of the new Calpe House building. Marlene is the founder of Together Gibraltar, a grassroots political movement aimed at promoting across-the-board political participation and trans-partisan political debate. As founder and active member of the Movement, Marlene will act as a bridge between the public and Parliament, a relationship that will bring the legislative closer to the people they represent. Marlene is first and foremost an independent MP, and her relationship with the movement is one of creating synergies:, the movement will serve as a tool for Marlene to work closely with her constituents, and her parliamentary activity will allow the Movement to have a presence at the top level of Gibraltar´s decision making platform. This unprecedented, groundbreaking initiative hopes to generate a direct channel of communication between civil society and lawmakers, empowering the citizens of Gibraltar and engaging them in the development of a better, fairer society.